TTV 02 Angiogenesis Targeting: Mechanism of action animation that explains angiogenesis and it’s roll in cancer growth. 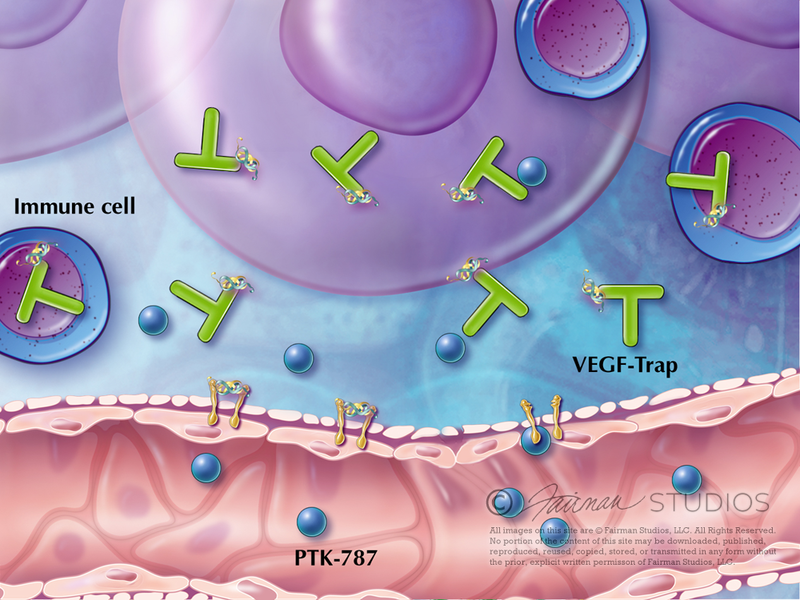 VEGF factors in anti-angiogenic activity, helping to stop and reverse cancer growth and proliferation. Angiogenesis can be targeted by various types of drug agents (EGFR or HER1, VEGF, VEGF receptor and MMP inhibitors) which can interrupt the growth of tumor vasculature. Storyboard, Illustration and Animation by Jennifer Fairman. TTV 02: Angiogenesis Targeting from Fairman Studios on Vimeo. Angiogenesis can be targeted by various types of drug agents (EGFR or HER1, VEGF, VEGF receptor and MMP inhibitors) which can interrupt the growth of tumor vasculature. Storyboard, Illustration and Animation by Jennifer Fairman.